The best way to prevent cancer is to understand the fact that it does not develop overnight. According to a number of researches and studies conducted in the past, there is a strong evidence that almost one-third of all cancer deaths are linked to diet and physical activity, while another third is caused by the use tobacco products. So far, medical sciences has not reached a stage where it is possible to predict whether your loved ones would get cancer in life or not. However, a lot is known about things you can do, steps you can take and small changes that you can bring in life that can prevent you and your loved ones from cancer, and eventually die from it. There are simple lifestyle-related changes that can help reduce the risk of cancer drastically. 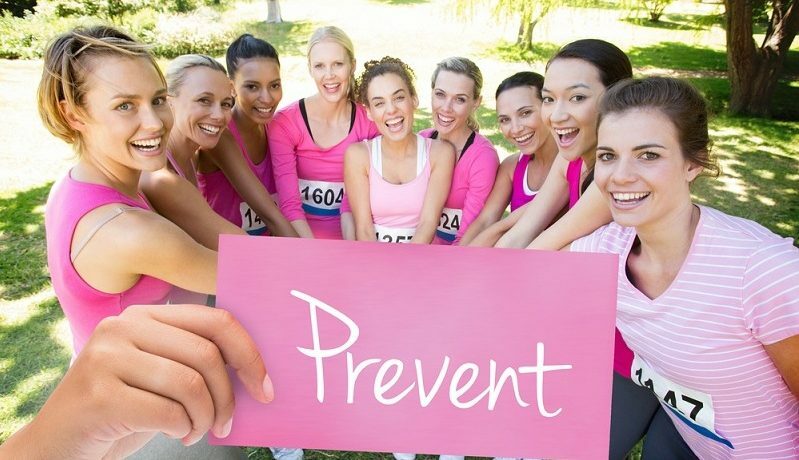 Some of these simple yet best cancer prevention tips are discussed below. One of the best tip to prevent cancer is to stop eating tobacco. Avoiding tobacco or deciding to stop using it, is one of the most important part of cancer prevention. If you need help with quitting tobacco, ask your doctor about products and other strategies that helps reduce the urge to go back to tobacco again. Using tobacco in any form can cause lung, mouth, throat, larynx, pancreas, bladder, cervix and kidney. Even if you do not use tobacco, exposure to passive smoking can increase your risk of lung cancer. It is estimated that cutting down tobacco from you daily routine helps reduce the risk of death from cancer by almost one-third. Whenever possible, prefer drinking filtered tap water only. Many studies have confirmed that filtered tap water it is safer than bottled water. It reduces your exposure to suspected carcinogens and hormone-disrupting chemicals. Always store drinking water in stainless steel or glass to avoid chemical contaminants present in plastic from getting into water. Drink plenty of water and other liquids, as it can cut down the risk of bladder cancer by diluting the concentration of cancer-causing agents in the urine. You can choose to drink limited amounts of alcohol as well as it protects against the bacterium Helicobacter pylori, which is known to cause ulcers and may lead to stomach cancer. But do so only in moderation. Extra consumption of alcohol may increase your risk of mouth, throat, esophageal liver, and breast cancer. Be as lean as possible and maintain a healthy weight throughout your life. Do not just look at the scale; check your waist measurement as a crude measurement of your abdominal fat. In addition, be physically active as much as possible. Walk or exercise for at least 30 minutes every day. If needed, you can break that into 10 to 15 minute blocks. Limit your time spent on sedentary behavior and activities such as sitting and lying down while watching TV or other screen-based entertainment. Sugary drinks may indirectly increase your risk of endometrial cancer by adding pounds in your weight. Excessive sugar consumption is likely to have an impact on your health and lead to other conditions as well, including hypertension, diabetes and obesity. Processed meats may release cancer-causing heterocyclic amines, which form when meat is seared at high temperatures. They may also release polycyclic aromatic hydrocarbons, which get into food when it is charcoal broiled. So cut down on grilled meat and if you do grill, add rosemary and thyme to your favourite marinade and soak meat at-least an hour before cooking. Certain chemicals in green tea act as the most powerful anti-cancer compounds ever discovered. The healing powers of green tea because of the high number of antioxidants in it have been valued in Asia for more thousands of years. Brazil nuts: They are rich in selenium, a trace mineral found in soil that helps cells repair their DNA. As a result, there is a less risk of formation of cancer cells because of damaged DNA. Garlic: It has the potential to help the body get rid of cancer-causing chemicals. It contains allyl sulphur compounds that may stimulate the immune system’s natural defense against cancer. Cruciferous vegetables: Broccoli and its cousins such as cabbage, cauliflower, and bok choyhelp reduce the risk of kidney cancer. Kiwi: They possess some of the cancer-fighting antioxidants, including vitamin C, vitamin E, lutein, and copper. Red Grapes: Red grapes are a great source of resveratrol, which may slow cancer growth in the lymph nodes, stomach, breasts and liver. Milk- High calcium consumption may protect against colon cancer. So add milk to your daily diet.